On May 2, the Greensboro City Council passed a resolution declaring May Bike Month in the city. 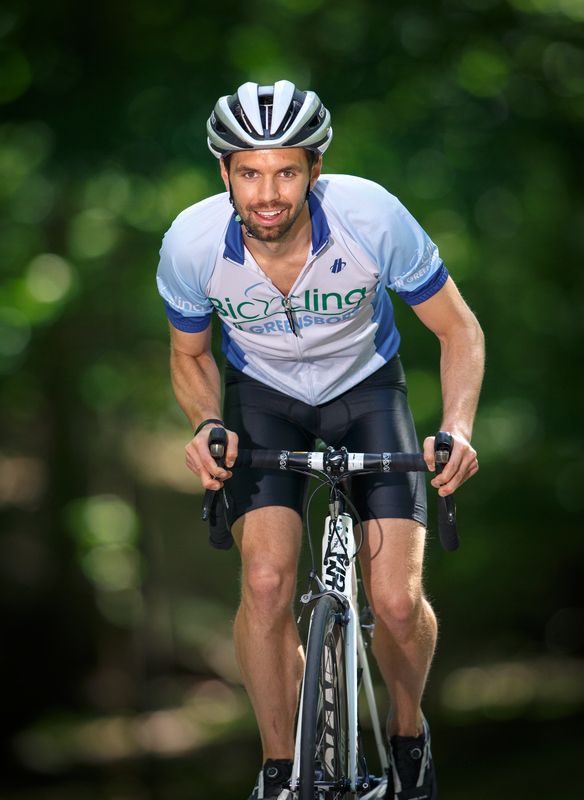 All month long, the City of Greensboro and partner organizations will host special events and activities for both novice and experienced cyclists. One of the City’s largest partners is Bicycling in Greensboro, or BIG for short. BIG works to promote bicycle safety first and foremost, but also looks for ways to improve access and awareness. 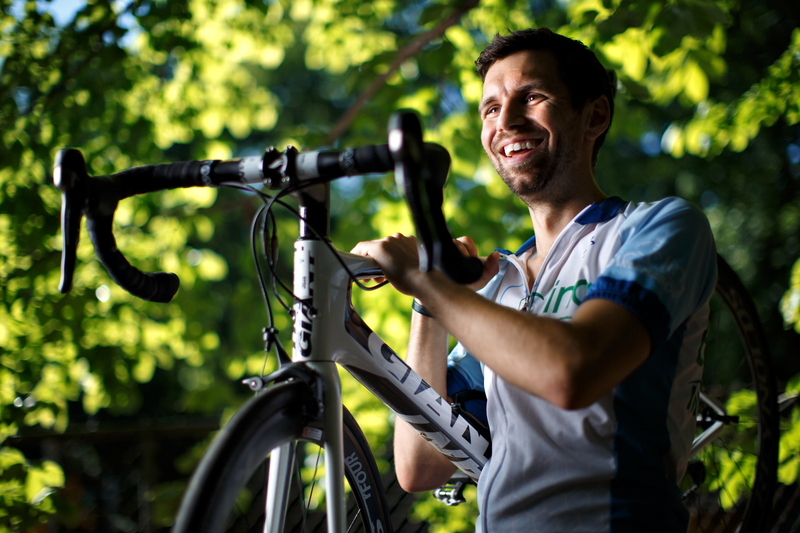 BIG and cyclists in Greensboro have no bigger advocate than Dusten Winebarger. 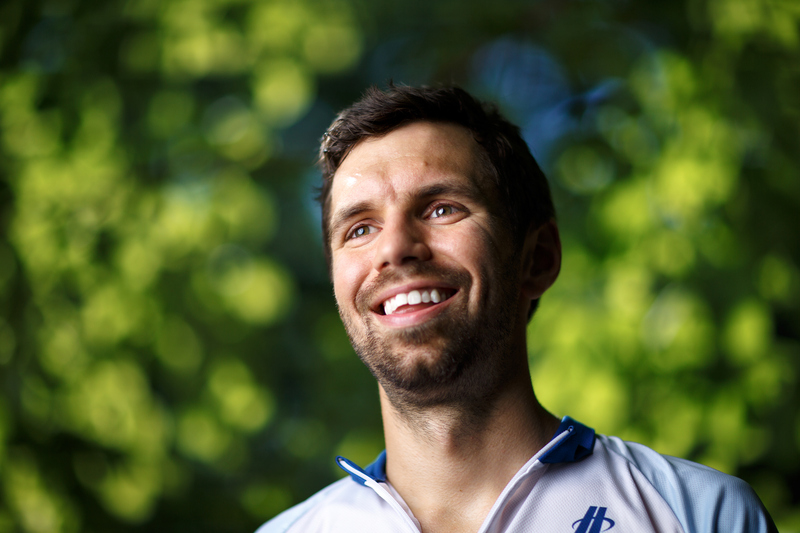 Dusten is the past president of BIG, serves on the Board of Directors and the organizer of Ride of Silence, a memorial ride to honor those who have been injured or killed while cycling on public roadways. Dusten, 30, currently works as a Sales and Account Manager for PreMedia Group, a full service digital prepress firm. He has always been into riding, swimming and running. In fact, when he signed up for his first triathlon, he was introduced to BIG. BIG currently has about 100 active members. In addition to the Ride of Silence, BIG also puts on the Apple Pie Ride, named by Bicycling Magazine as one of the top foodie rides in the country. The Apple Pie Ride is a 64-mile ride for experienced riders or an easy two-mile neighborhood spin for kids. Afterwards, riders refuel at a cookout and are welcome to eat all the apple pie they can. The Ride of Silence is May 17 from 6-8 pm, beginning at 219 W. Lewis St. This is a slow-paced ride suitable for bicyclists of all ability levels. The group is also escorted by the Greensboro Police, to stop traffic at intersections and assist with safety measures.